Today, we’re going to talk about performance and especially network performance. The main goal of this article is to present to you a way to boost progressively your network bandwidth at minor costs. Welcome to the wonderful world of the multipathing! We can define the multipathing as a method to use more than one way to access the storage. For example, you have to send a file to your NAS from your PC. Your PC is connected on wireless and wired connections. Let’s say we have a 100Mb/s Wi-Fi and 100Mb/s Ethernet connection to the PC. Your NAS is connected to a switch at 1 Gbps. When you send a 1 GB file, it has two ways to go to the NAS. The aim of multipathing is to load-balance the traffic between available paths. In our example the system will send 500MB on the Wi-Fi and 500MB on the Ethernet cable. The result of this is a max bandwidth of 200MB/s. In this post we’re looking at the Linux kernel’s hypervisor KVM and the session trunking of the NFS4.1 protocol. The session trunking is the way to do multipath from one host to one host of NFS4.1. This feature was implemented in February 2016 by the Linux-NFS team. The advantage of a multipathing implementation in the application layer is the flexibility that brings in the system management. You can configure the multipath on the hypervisor, put your ISO and disk image on your NAS and all the traffic generated pass by all the path available. But how to do this? 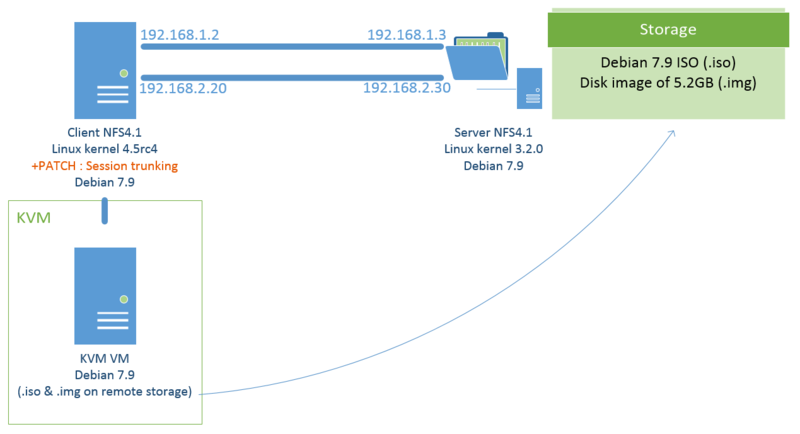 Here is a tutorial to achieve multipathing between KVM and a NFS4.1 Server. Note: the NFS4.1 client session trunking is currently under development, so points could be changed in the future, be careful to use the correct configuration. The session trunking feature is under development and under kernel patch form. So if you want to use this feature you have to get a kernel, add the patches, compile and install it! #the -j4 stand for 4 jobs running at the same time, ideal for multi-core processor. The client should use all the paths to send the data. The last step is to install kvm and test the multipath with a real VM in KVM. Xmodulo wrote a great tutorial to install a VM with KVM. #KVM create the VM with a XML file who describe the hardware to virtualize. Here is an example of this XML file. #Change the path to the ISO and disk image in the XML file. 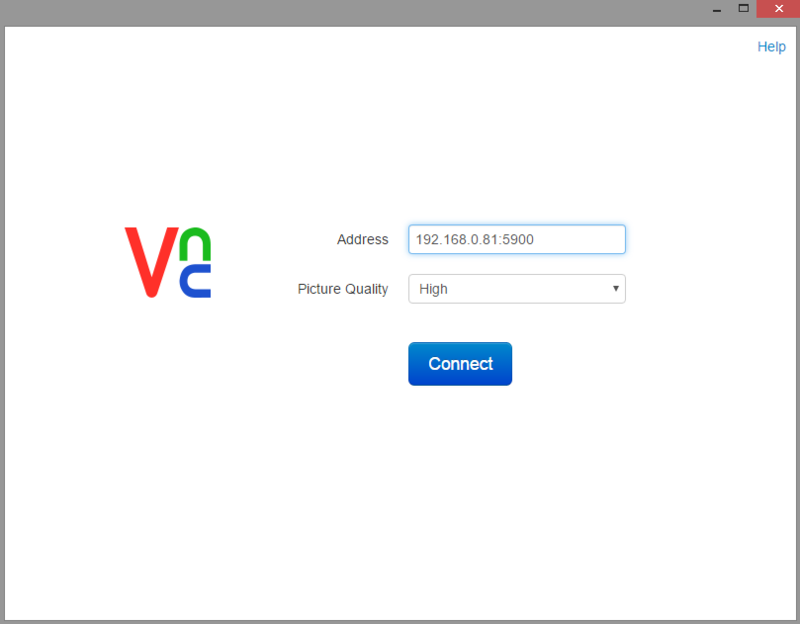 To access your VM you have to download a VNC client. The one I used is a chrome app. As you see all the traffic from the VM pass by all the interfaces without any configuration on the VM. The bandwidth is also aggregated. Here is the network utilization when I add manually each mount during a big file copy. We can see the available bandwidth (higher purple line) was doubled on the second mount. NFS4.1 detect session trunking and aggregate the new connection on the eth2 to the existing session initialized by the first connection on eth1. Here we are! Bandwidth has been doubled with no big infrastructure changes. This is a great way to adapt your network performance suiting your business needs. 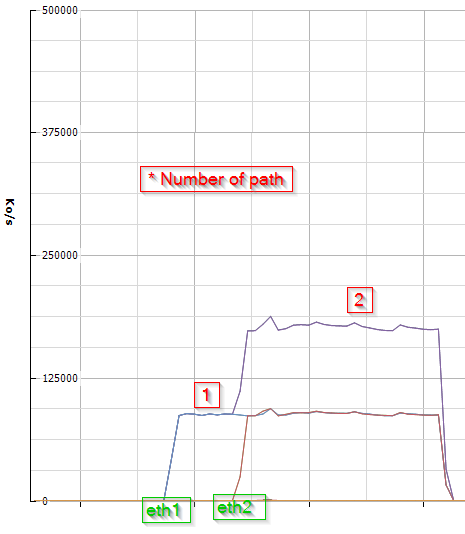 If 1Gb/s is too slow and 10Gb/s is overkill, multipath could be a good solution to get 2…3…4..5 Gb/s…. It would be very interesting to compare the performance of multipath NFS with the performance of NFS over Multipath TCP. Yes! It’s in my plans, maybe it could be the subject of an another post. I think the main difference between MPTCP and the NFS multipath is the granularity of the network load repartition. MPTCP distribute packet per packet and NFS distribute NFS operation per NFS operation, so maybe a higher CPU load for MPTCP but a better network load repartition … it has to be confirmed with real measures. A great piece Martin, thank you. 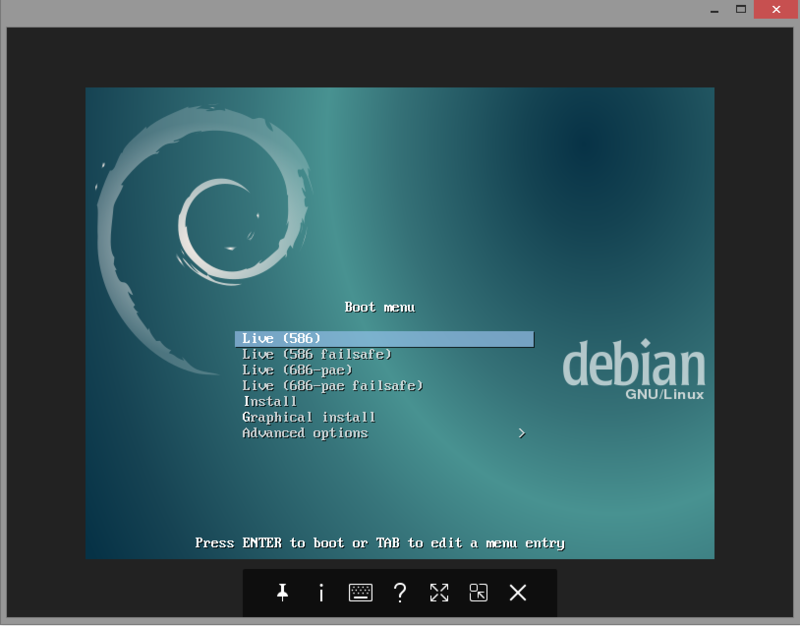 is it still necessary to patch the kernel with Debian stretch (Kernel 4.9)? It should be ok. But i have not tested it yet. It writes out at 900 Mbps, and I see it’s only using one link. So I think maybe I need to apply some patches so that the mount command will properly mount with both IPs? Did you ever figure out your issues. I have been experimenting with this for a little while and am seeing similar issues. Most of the time it is using only a single link, but there was once or twice multiple links were used. How did you managed to get the mount working? how did you managed to mount the share the second time.